Rich, Kentucky bourbon hints at wisps of smoky aged barrel flavor, with a smooth maple finish. 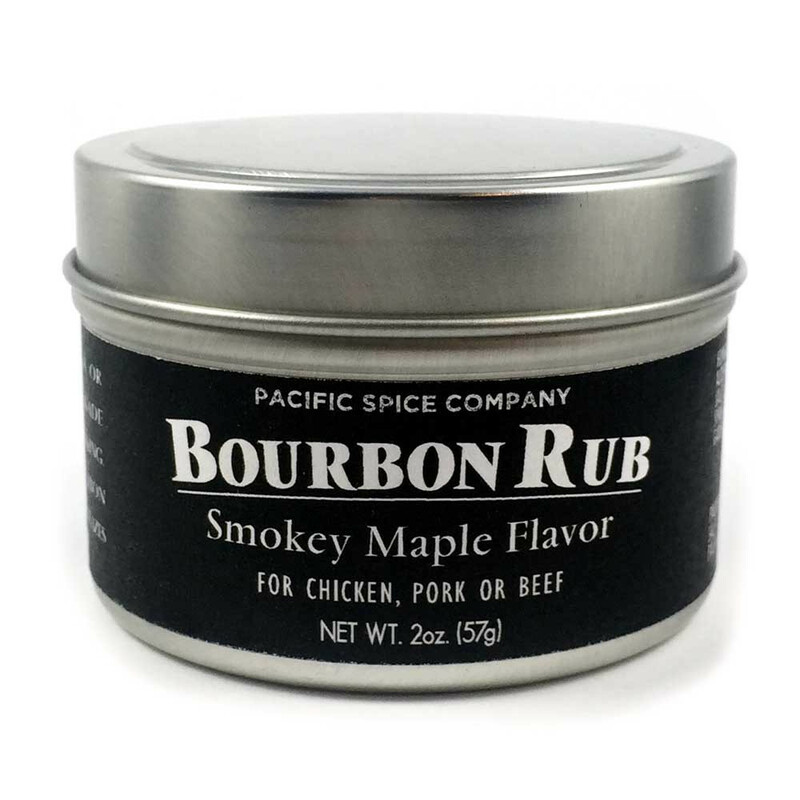 Our Bourbon Inspired Rub pairs well with bourbon (or whiskey) reductions and glazes. 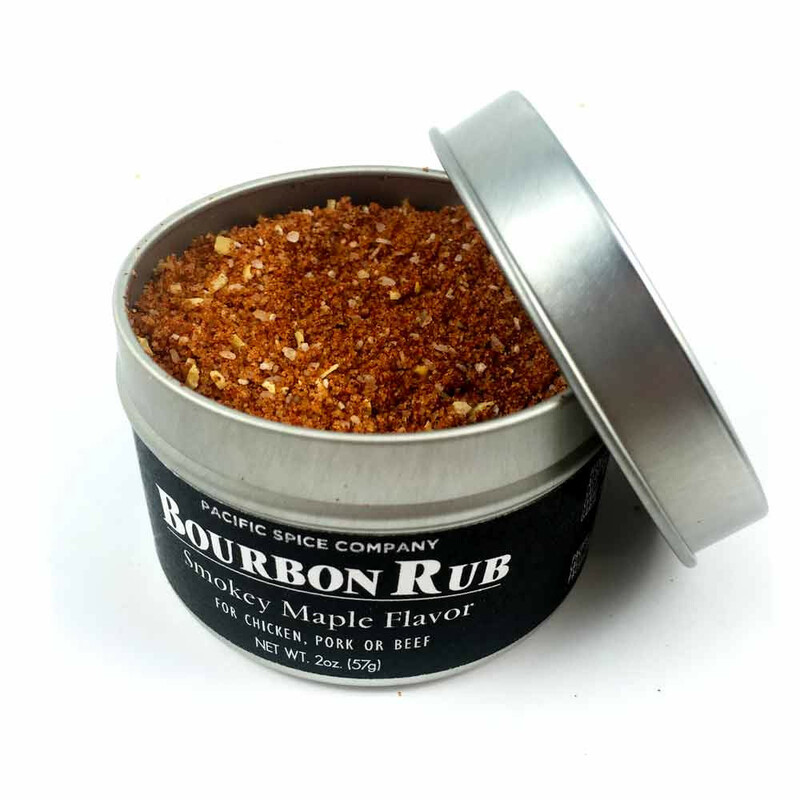 Rub on meat for a dry marinate or as a pre-grill rub. This spice includes salt, sugar, sweet paprika, alderwood smoked salt, kosher salt, brown sugar, maple syrup powder, ginger and garlic.